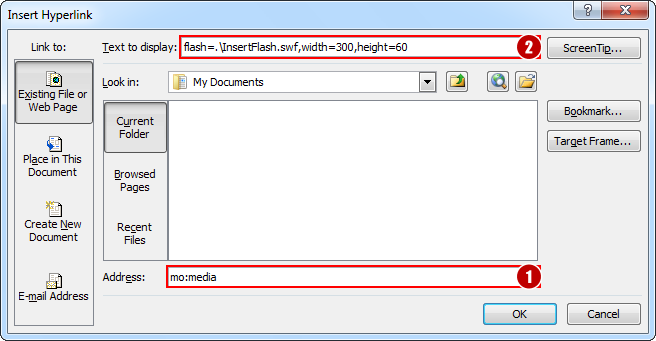 To embed a flash file, please insert a special hyperlink to mo:media into the source document and enable the Link Extend/Embed add-in. The url of the flash file. A file on the web. The width value of the flash. The default value is 640. The height value of the flash.